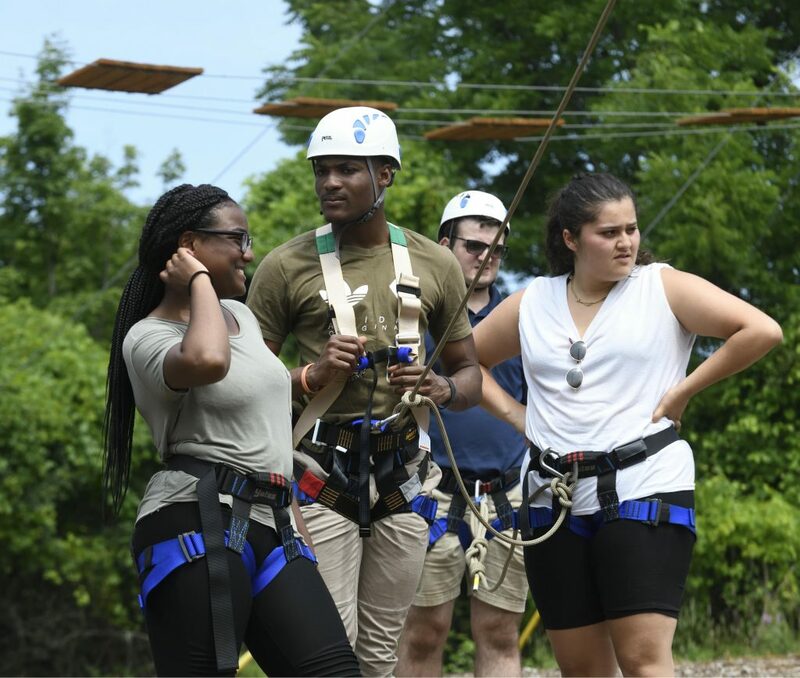 Horane Daley (center in helmet and harness) with other Summer College participants. Daley was one of 25 students selected to attend Syracuse University through the generosity of the Price Family Foundation. The Price Family Foundation, a philanthropic organization based in New York, provides funding for higher education, children’s services and hospitals. For three years, the foundation has provided opportunity to New York City students to attend the Summer College Program. Summer College offers both credit and non-credit options for students to engage in rigorous college courses over a six-week period. While many of the students found the coursework challenging, they also learned the skills they need to be successful―managing their time, working hard, and having the discipline to follow through on assignments in a short period. This year, 501 students from 35 U.S. states, Puerto Rico and the Virgin Islands―as well as 70 students representing 19 foreign countries―attended Summer College. 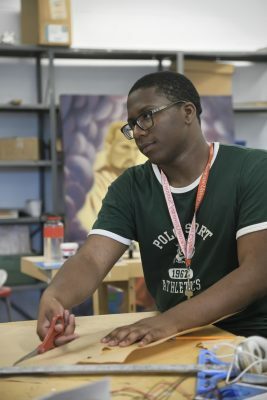 Isaiah Hoyte, from New Explorer’s High School in the Bronx, took 3D Art Studio and Computer Animation and Game Design through Summer College.